A short video to show you how easy it is to train your dog. Doggy engineering 101, where the nose goes the body will follow. Dog Training is a rewarding career, you help dogs live happily with their owners and you relieve owners from problematic dog behavior. The DogSmiths teach owners how to build on their dogs behavior repertoire. We have a constructional approach. 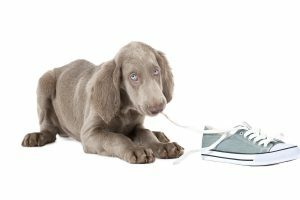 Punishing your dog for the wrong behavior in most cases does not give them the skills and direction they need to exhibit more acceptable behaviors. If you are interested in becoming a dog trainer then contact The DogSmith Training Center located in Oxford Mississippi. This entry was posted in Blogs To Help You Train Your Dog and tagged career, Dog Training, Dog Training School on April 10, 2011 by DogSmith. Do You Love Pets? – Wait, Read then Watch a Short Webcast. Call Us Today! If you love dogs and get slightly excited about the thought of opening and operating your own Dog Training and Pet Care Franchise then stop, take five minutes and watch a short webcast about how this could become more than a thought!. It’s the right time, at the right cost. Affordable, feasible and realistic. 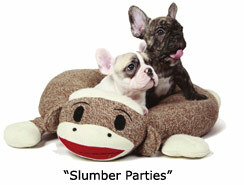 Visit The DogSmith Website and learn more about our products, services and rescue dog programs. This entry was posted in Open Your Own Business and tagged Dog Training Franchise, Dog Training School, open a pet business, Pet business franchise on October 8, 2010 by DogSmith. Whispering is not Enough, Learn to Talk Dog – They will love you for it! All behaviors that dogs exhibit are designed to either access pleasurable situations or avoid and escape unpleasant situations. A dog’s communication systems are much ritualized and designed to avoid or cutoff conflict. This has made dogs as a species very successful in terms of their numbers and their variety. Things go awry when we humans misread the signals dogs send us leaving them helpless to effectively communicate their feelings to us. We cannot know or understand what dogs think and vice-versa. What we can do is understand canine body language, observe them as we interact with them and then respond appropriately. ‘Talking dog’ is simple if you remember a few important rules and it will make interacting with dogs fun and safe. The dogs you come into contact with will really appreciate it. The types of social behaviors dogs demonstrate can be broadly grouped into either distance decreasing or distance increasing. A dog uses distance decreasing behaviors to promote approach, play and continued interaction. 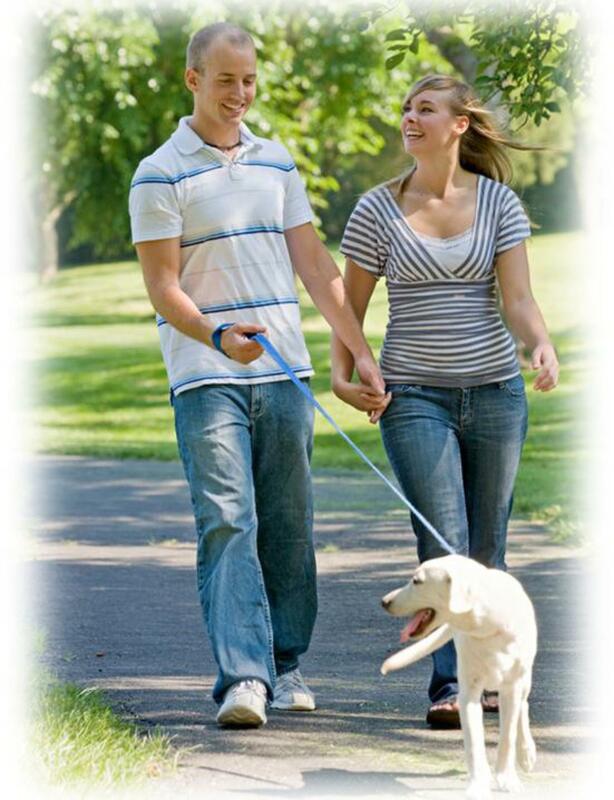 A lumbering soft gait, relaxed body and a relaxed face indicate the dog is encouraging interaction. Dogs who want to engage in play will demonstrate the ‘play bow,’ a posture where the dog bows the front of his/her body so that the front legs are parallel to the ground while the hindquarters remain in the standing position, the dog may offer you a paw, lean into you or rub against you. Distance increasing signals vary and can be easily misread. The distance increasing signals we all seem to ‘get’ are when a dog stands upright making each part of their body appear as large as possible, weight on the front legs, upright tail, upright ears, piloerection (the hair on their back stands up), and the dog will bark or growl. We seem to instinctively react to these signals and take them as the warning they are. The distance increasing signals that we commonly misinterpret are the more appeasing behaviors dogs demonstrate. Dogs use these appeasement behaviors to make friendly encounters more reliable and to help them pacify what they anticipate to be a hostile encounter if escape is impossible for them. These behaviors are a nonaggressive way to ‘cut off’ conflict. When a dog displays these behaviors we have to recognize that this is the dog’s way of showing us that they are unsure and a little scared. You may see appeasement signals in one of two ways. Passive appeasement behaviors are easily misunderstood and are often labeled as ‘submissive.’ Dogs displaying passive appeasement will present themselves in a recumbent position exposing the underside of their body. The dog’s ears are typically back and down against the head and the tail is often tucked between the upper legs. Sometimes the dog will expel a small amount of urine while it waits for the attention to cease. The active appeasement dog is often incorrectly labeled as ‘excited’ or ‘overly friendly.’ They will often approach you with the whole rear-end wagging in a “U” shape allowing both its face and genital area to be inspected and they may be desperate to jump up and ‘get in your face’. For humans then, it is important when meeting and greeting dogs to be able to recognize if a dog is friendly and wanting to greet you or if the dog is experiencing stress or fear. A conflicted dog will want to approach but is too scared or unsure of the outcome. Their body language will vacillate between displays of distance decreasing behaviors and distance increasing behaviors. Interacting with a dog that is conflicted can be risky. If you make a wrong move and the dog cannot avoid the approach then they may become aggressive. This is often the case with a fear biter. If a dog is demonstrating ambivalent, mixed signals then it is advisable to avoid sudden movements, and to allow the dog an escape route. Don’t force the meet and greet by moving toward the dog or having the dogs’ owner manipulate the dog toward you. In general when you meet and greet a dog make sure you have a relaxed posture. Let the dog approach you, turn slightly to the side as this is less threatening for the dog than you standing in a full frontal position leaning over them. Always ask permission from the dog’s owner to pet their dog. Talk gently to the dog without making eye contact. It helps to crouch down and keep your hands by your side without making any sudden movements. When you have determined the dog is not showing any signs of stress or fear and their body language is relaxed and happy then you can slowly move your hand under their chin to stroke them. If the dog is showing passive appeasement signals, as described above, then step away, give them space and allow them to approach you on their terms and in their preferred timing. It is important that we recognize a dog’s “cut off’ behaviors. ‘Cut off’ behaviors are designed to cut off the social contact. If, when greeting a dog, you don’t recognize that the dog is scared or stressed or you choose to ignore the dog’s communication and push forward with your approach you are unfairly pushing the dog into a situation where it may only be left with one option and not a favorable option to either dog or human. Dogs will typically give plenty of warning if they are uncomfortable with something that another dog or a person is doing. These warning signs may include a direct stare, a rigid body, a growl and showing “whale eye” (flashing the whites of their eyes). The dog’s ears will be flat against the head and they may have a closed tense mouth, if you see any of these signals then stop what you are doing immediately and allow the dog to slowly back away. Dogs are wonderful animals that love and need to be a part of our social lives. But, like people, their personalities range from being social butterflies to wallflowers. Tailor your approach and greeting style based on the communication they are giving you. Dogs are very clear with their intentions and emotions and respond appropriately to ours. Remember our body language and approach speaks louder than our words to a dog. Niki Tudge is the owner and founder of The DogSmith, America’s Dog Training, Dog Walking and Pet Care Franchise. This entry was posted in Blogs To Help You Train Your Dog and tagged Become a dog trainer, Dog Training School, Dog Whisperer, talk dog on June 15, 2010 by DogSmith. The DogSmith National Dog Training Center is located in rural Florida – An ideal dog training venue for year around use and the perfect environment for candidates studying to become professional dog trainers. The multi-use facility is very flexible and includes several acres of fenced pastures, classroom buildings and kennel areas. The pasture areas are perfect for pet dog obedience training and the size of field can be varied to accommodate big or small dog training classes. They can also be adapted for whatever dog training skills are being taught, from basic pet dog obedience to competitive dog agility training. The classrooms for the academic portion of the dog training and animal behavior curriculum are located adjacent to the training fields so that professional dog trainer students can quickly put their newly acquired dog training knowledge to practical use in “real life” situations. There are ample additional indoor dog training and kennel areas suitable for animal behavior assessments and practical dog handling lessons. The DogSmith Dog Training School covers all the necessary operational, marketing and financial training needed to operate and successfully manage a dog training business. The DogSmith Pet Dog Training curriculum takes into account the natural behaviors of dogs and their ability to learn using scientifically applied learning theories. Theory: – Classroom style meetings, lectures and discussion. Dog training students will be involved in discussions, presentations, group “teach-backs”, seminars and have textbook homework to review for the following day. Tools: Assigned readings, seminar DVD’s and training manuals. a) Pass the American Kennel Club CGC Evaluator exam (2 years professional work experience required). b) Pass the American Boarding Kennel Association Pet Care Technician Level 1& Level 2 exam. c) Be prepared with the theoretical knowledge to take the CPDT exam (200 training hours required in addition). d) Pass the Red Cross Canine CPR certificate. e) Pass the DogSmith Dog Training Center Diploma qualifying exam (250 multiple choice questions and 2 behavioral questions). Part One – Animal Husbandry. This section of the curriculum covers canine physiology and ethology with a focus on canine domestication, canine communication and canine development – physical, social and sensory. We also cover the critical stages of canine development and each stage’s impact on learning. Part one also covers canine health, key diseases, and their effect on behavior, nutrition and the effect poor nutrition has on behavior, Spay/Neuter and the effects on behavior, health and population control, vaccinations, parasites & parasite control in the training environment, health & hygiene and basic pet care including pet CPR. The learning theory section of our dog trainer curriculum covers operant conditioning – understanding behavioral consequences. We teach the four quadrants, Reinforcement, negative and positive and Punishment, negative and positive. The learning extends into operant extinction, spontaneous recovers and extinction burst. The training discusses the management of behavioral consequences, the two types of reinforcer and punisher, primary and secondary. How we select reinforcers, factors impacting the effectiveness of reinforcers, schedules of reinforcement and differential reinforcement. Learning theory also focuses on classical conditioning, how conditioning occurs, and extinction and environment stimulus control. We teach setting events and motivating operations. Stimulus control, transferring stimulus control prompting and fading of a stimulus are also covered in depth. Under the heading of learning theory we also cover the key training techniques to acquiring a behavior, shaping, prompting, luring, targeting and capturing. To assist with the development of these skills we spend many practical hours working on dog training mechanics, handler timing, body language, reinforcement timing and clear, concise and consistent cue systems. When learning to become a dog trainer it is critical that you are aware of and understand the differing types of dog training equipment available, those that are aligned with our dog training philosophy and those that we try to avoid. 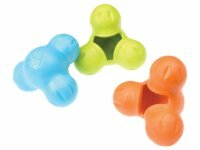 This section of the training covers all the basic training equipment from collars, to leashes, toys, enrichment tools, treat bags, clickers and the wide array of conditioned reinforcers available. 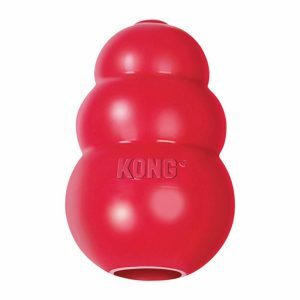 We also teach the dog trainer about ancillary equipment and its purpose and safe use. This section of the dog trainer curriculum covers the core of the DogSmith methodology. We cover in great detail, both in theory and practice, all the key dog obedience skills. These include ‘sit’, ‘down’, ‘stand’, ‘maintain’, ‘come’, ‘walk nicely’, ‘heel’, ‘leave it’, ‘off’, greeting a friendly stranger, sitting for petting, walking though a crowd, reaction to strange noise/visual stimulus and a supervised separation behavior. 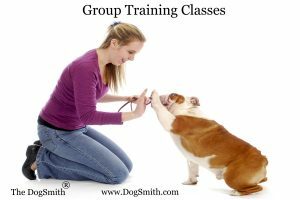 The DogSmith Dog Trainer curriculum for running effective puppy classes focus on social skills, housetraining, bite inhibition, chewing behavior, introducing a collar & leash, interactive games, play nice, crate training and foundation obedience skills. In this part of the training we also discuss and teach skills to manage and solve some of the more common canine problems such as digging, barking, chewing, counter-surfing, door-hogging and front door etiquette problems, house training and crate training. We begin to introduce the shelter sog in this part of the curriculum as many of your clients will have spent some of their life living in a shelter with unique living conditions, stress issues and environmental differences. Much of your time as a dog trainer will be spent teaching people how to teach their dogs. Section five is dedicated to developing you as a people trainer as well as a dog trainer. You will learn how to prepare and plan for dog training classes, develop curriculum and training schedules, develop teaching skills. Learn about the DogSmith’s enrollment forms, training software, liability and indemnity forms and how to choose training locations. We teach you about class structures, payment methods and key policies for handling aggressive dogs, dogs in heat, children and bad weather policies. There is key attention placed on safety in the training environment in terms of general handling skills, owner responsibility, trainer responsibility and environmental safety. Liability and indemnity, location, payment, prognosis, follow up report & agreed action, when to refer a client and DogSmith ethics. Conducting the training requires that as a dog trainer you learn about skill demonstrations, task breakdown, behavior criteria, establishing client rapport, active listening, giving constructive feedback, targeting the audience and canine communication systems. Part Six of the DogSmith Dog Trainer curriculum prepares you to conduct private lessons with a focus on modifying unwanted canine behavior. This part of the training focuses on the management, training and relationship an owner has with their dog. You will learn how to conduct a Functional Assessment, develop a contingency statement and recommend a behavior change program using the DogSmith’s MTR and ARRF. This entry was posted in Blogs To Help You Train Your Dog and tagged Become a dog trainer, Dog Training School on July 28, 2009 by DogSmith. The DogSmith® Inc. a national dog training, dog walking and pet sitting company launches a program to provide free resources and support for animal rescue groups and shelters. Florida – The DogSmith, a national dog training, dog walking and pet care franchise has created a no cost Rescue Resources Program for animal rescue groups and shelters. The DogSmith Canine Rescue Resource Program is provided by locally owned and operated DogSmith franchises and is divided into two parts, one for the shelter staff and the other for shelter patrons and adopters. The program for the shelter staff consists of Behavioral Assessment Programs to help match rescued dogs and cats with appropriate homes, volunteers to provide expert animal training and care, dog handling seminars, animal nutrition seminars, dog obedience workshops, animal enrichment programs and webinars on managing animal rescue organizations. The program for adopters provides for pet selection programs to help match families to pets, monthly puppy ownership seminars, introduction seminars on pet dog obedience, monthly puppy seminars & socialization workshops, and 20% discount on group training classes. To learn more about this program contact your local DogSmith at 888-DogSmith (364-7648) or complete an application at www.888dogsmith.com. For additional information on The DogSmith contact Rick Ingram by phone at 888-Dog-Smith (364-7648), or by email at RIngram@888DogSmith.com. You can also visit their website at http://www.888dogsmith.com. This entry was posted in Blogs To Help You Train Your Dog, Pet Care Articles & Tips and tagged Dog Rescue, Dog Trainers, Dog Training School, DogSmith on July 24, 2009 by DogSmith.